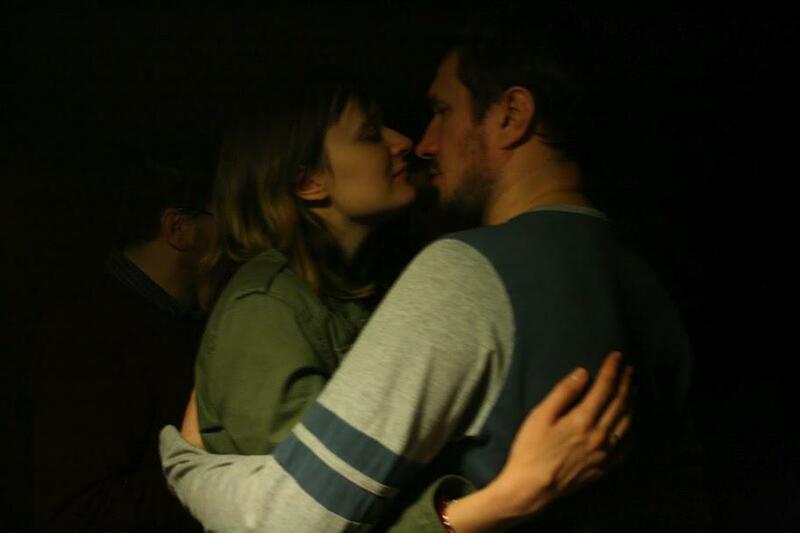 Director Anastasia Patlay took this picture of us at a party celebrating ten years since the creation of Moscow’s Teatr.doc (which is a whole separate story, when you think about it – the role that this theater has played in both of our lives is just weird to contemplate. Weird, but awesome as well. It’s a great place, and if you’re ever in Moscow, you have to go. It gets lambasted for being “too political,” because art in Russia must be “safe,” you see, and not make any bureaucrats nervous, but all of that is pretty silly. ), and when I saw it, I noticed two things: we look happy, and we look like we’re about to die. I like marriage and parenthood and work – and I just need a leeeeeetle bit of rest. OK? OK? Please? Well, FINE THEN. FINE. I’m going to say that nothing gives me more pleasure than to see a friend so happy :). Its that “Russian soul” thing where you can’t help staying up all night drinking and talking about deep soulful things. In Dostoevsky’s novels did anyone ever take a nap? Nah, I think I just work too much, to be honest. And THEN get the desire to stay up all night and talk about deep soulful things, with occasional trips to rock the baby back to sleep in his crib, of course.